Many times when a person goes to the Physicians Office, all the person does is step on the digital scale (or mechanical scale) and the nurse writes down the individuals body weight. Then not much at all is said about the patients weight. At this point, the nurse might check the person’s height but often times will just confirm what is in their medical record.Then once the patient sees the doctor, they may or may not mention the weight, usually it depends on time restraints or what the appointment is actually related to. Wouldn’t it be nice for the patient to automatically get a targeted print-out sheet of their weight along with Body Mass Index information and recommendations to improve their BMI? This removes inhibitions, makes people more willing to talk, and motivates your patients in the long term to tackle the subject more rigorously and do something about it. This in turn can generate economic benefits for your practice, since you can now offer additional services. In emergency situations, often the response time is crucial. 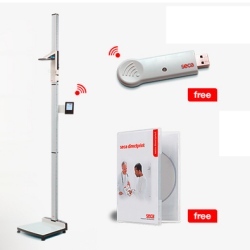 Many medical clinics are open almost always and they need scales that are designed to operate accurately and reliably. That’s why many hospitals and doctors offices choose Rice Lake Weighing Systems products. The Rice Lake brand of scales are designed to be reliable and dependable for years of service. Lakeview Medical Center has been a staple in the Rice Lake, Wis. community since its inception in 1919. The hospital prides itself with modern facilities, innovative state-of-the art technology and a caring staff. All of these qualities come together at Lakeview Medical Center for the same common purpose: providing excellent patient care for the growing region. Lakeview Medical Center is truly a patient-centric facility, and when it comes to providing care, the staff does everything possible to make sure patients receive superior and compassionate treatment. To provide unmatched patient care, modernization at Lakeview Medical Center has been embraced. From keycard badges that open corridors, ensuring patient and visitor privacy and safety, to state-of-the-art technology and in-floor patient weighing platforms, Lakeview Medical Center exemplifies next-level healthcare. Installed flush with the hospital floor, the Rice Lake medical floor scale allows ambulance stretchers to transition from floor to scale with smooth and natural movements, permitting paramedics to easily roll the stretchers on and off in swift motions. With a Rice Lake digital weight indicator wall-mounted near the scale, the patient and stretcher gross weight is easily read and charted by the paramedic. “It’s very convenient. It is right by the doors as you walk in. We have a digital display board that tells us which room the patient should be brought to,” explains Lakeview Medical Center Emergency Services Supervisor, Matthew Ryba. After transferring the patient to their room, paramedics bring the stretcher back to the floor scale to calculate the patient’s net weight by subtracting the weight of the stretcher and any equipment on or attached to the stretcher upon arrival. Without wasting any movements or removing the patient from the stretcher, Emergency Department staff can record and use an accurate patient weight, delivering better care at a quicker pace—a valuable quality in the department. Life-saving drugs administered in emergency situations may need to be accurately dosed by the patient’s weight; making reliable weight a necessity. Knowing that standing is difficult for some patients, staff at Lakeview Medical Center take advantage of the floor scale by weighing patients in their wheelchairs. “We can wheel them right onto the scale and take the gross weight, bring the patient to their bed and go back and weigh the wheelchair to determine the patient’s weight,” explains Ryba. Taking the extra step to improve patient comfort is not uncommon at Lakeview Medical Center. Patients in the Emergency Department can even be weighed without leaving their bed. “All of the beds in the Emergency Department are weighed with a full set of linen, and the weight is written on the bed. All you have to do is wheel the bed with the patient to the scale, subtract the bed weight and you have the patient’s net weight,” Ryba notes. In addition to weighing patients in wheelchairs and pre-weighed beds, patients also receive the highest standard of comfort with private rooms within a facility designed with a healing and soothing environment. Providing the best possible care with a personal and compassionate experience is a goal Lakeview Medical Center takes to heart. When not in use by patients, the Rice Lake medical floor scale has other duties. Emergency Services often use it to weigh their ambulance and emergency response equipment while loading the ambulance. “It’s very versatile to have a scale like this,” says Ryba. “For me to stand on the scale with my vehicle equipment, we can take the weights of our equipment to determine the gross vehicle weight of the ambulance [as we load it].” Some ambulance equipment weighs over 20 pounds, and the vehicle weight can add up quickly with Emergency Services personnel and in-transit patients. Weighing the equipment adds an extra level of safety when loading the ambulance. The Emergency Department’s medical floor scale is not the only Rice Lake scale on site. Lakeview Medical Center also uses a scale in their Kidney Dialysis Unit. With 16 dialysis stations in the unit, each patient receives the best possible care with individualized comforts. To help determine the optimal course of treatment and follow-up care, patients are weighed on the medical scale before and after dialysis. Because patients on dialysis often gain excess fluid and weight between treatments, keeping accurate weight records is essential for proper care, making the Rice Lake scale an invaluable asset to the unit. 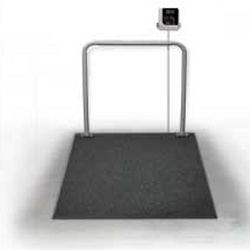 With a pit-style installation similar to the Emergency Department floor scale, the Kidney Dialysis Unit medical scale is ideal for patients being transferred in wheelchairs. If you’re looking for a medical scale that you can rely on, be sure to take a look at the Rice Lake lineup of medical scales. 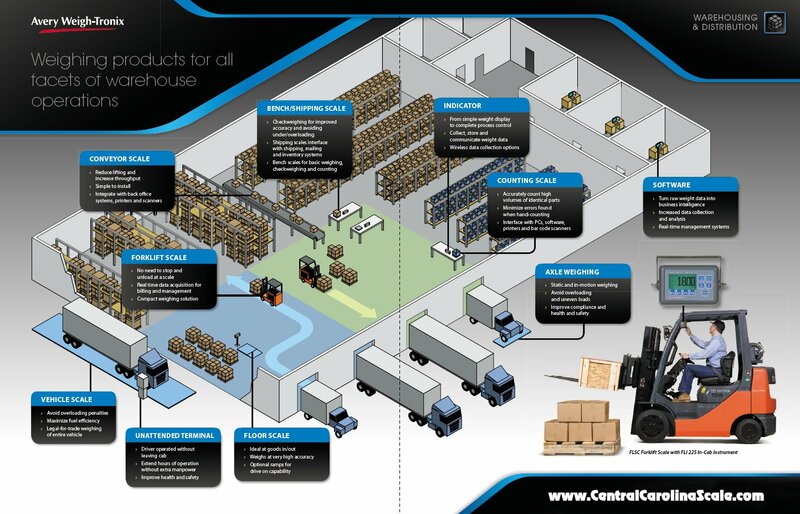 You can contact the sales team at Central Carolina Scale for product information and price quotes. To reach the sales department you can call (919) 776-7737 or complete the request for quote form on the website.